A gas heater is a higher up-front investment, but after installation, operating one is less expensive, assuming natural gas is available where you live. It is most cost-effective in cold climates during winter. And, as soon as the burners get going, gas furnaces produce maximum heat output right away. Gas heaters require a chimney as well as air ducts and vents throughout your residence. Professional installation is your only option; there’s no way around it. The two types of gas heaters include flued heaters designed to vent gas away from living spaces, and non-flued, ventless heaters; a flueless heater is suited only for rooms with adequate ventilation. Gas furnaces are more expensive to purchase and install. They also require more maintenance, or else efficiency and safety may be compromised. Combustible gas from a furnace can produce carbon monoxide, a deadly gas you can’t see or smell. There’s a greater safety risk overall with gas heaters. Focused heating comes with fire dangers. If you have a ventless heater, it must be turned off before going to sleep. As these heaters dry out the air, skin conditions such as eczema can be exacerbated unless you use a humidifier. Electric heaters include radiation heaters, which are great for spot heating. The heating element is built into a glass envelope. Heat is emitted as infrared radiation, while a reflector directs radiation into the surrounding air. Convection heaters work by causing hot air to rise, and cold air to enter and also become heated. A hot air current is therefore established. Suited for closed spaces, these devices include oil-filled and ceramic heaters. The benefits of electric heaters include a lower upfront investment. Installation is much simpler than with a gas heater, but if there’s a high demand, you’ll incur high costs for electricity. Electric furnaces are therefore better in warm climates. 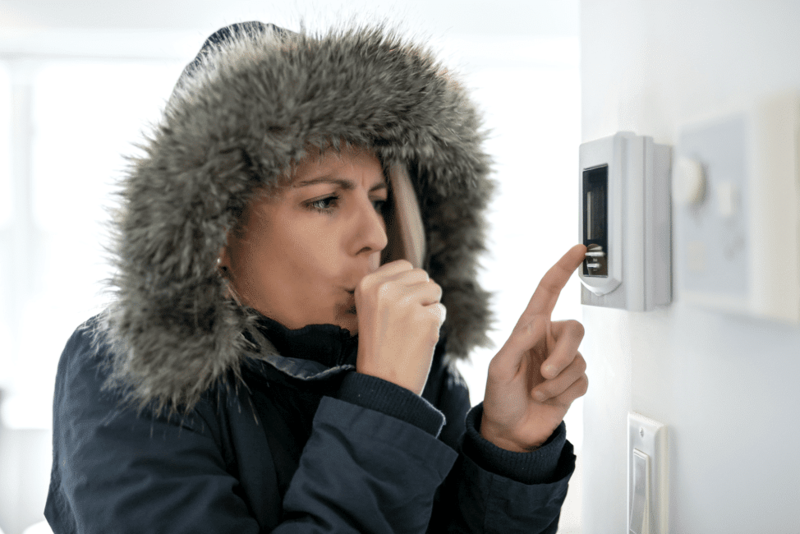 They don’t need venting, so installation is typically quick and non-disruptive, while an electric furnace is easier to maintain. Malfunctions are rare and less likely to affect the health of your household; still, annual inspections are recommended. An electric furnace takes a longer time to provide heating. The heating element must power up before the system can start warming your home, so adjusting the thermostat doesn’t yield instant results. Although nearly 100% efficient, electric furnaces do incur a higher lifetime cost than a gas system, given the same operating conditions. Gas heaters are better suited for larger homes in colder climates. If you live in a smaller home, in a warmer climate, and/or natural gas isn’t available, electric heat is more economical. Electric heat pumps are the most efficient, and can even be used for summer cooling. For professional advice, contact our Los Angeles electricians at Express Electrical Services. We can quickly assess the needs of your home and are available 24/7 to help choose between gas or electric furnaces and keep your family safe. Customers throughout Southern California depend on us for electrical repairs, installations, and updates, so call or request service online today if you’re in Los Angeles, Orange County, or Riverside County.